Laurel, MD–Resource Enterprises, Inc., announced that The Goddard School will open in The Greater Laurel Professional Park at 14520 Park Center Drive. Construction has begun on the site and the franchise owner and operator, Samarth Patel, projects that the opening date will be in October 2015. The Goddard School in The Greater Laurel Professional Park will enroll 130 students, offering high quality programs in the field of early childhood education for infants and toddlers, pre-school, Kindergarten and school age programs including summer and before/after school programs. The Goddard School is a leader in early childhood care and education. For 25 years, The Goddard Systems, Inc. has been a trusted name among parents and families for early childhood education and has earned AdvancedEDTM Corporation Accreditation and Middle States Corporate Accreditation. The Goddard School uses the most current, academically endorsed methods to ensure that children have fun while learning the skills they need for long-term success in school and in life. Patel said, “I am proud to be opening a Goddard School in the wonderful community of Laurel. I am committed to providing the highest quality preschool experience for the children in our community.” While the school is under construction, please visit www.goddardschool.com to learn more about the programs and how to enroll. The Greater Laurel Professional Park is a uniquely planned 40-acre Professional Park combining professional, medical, commercial and retail uses. It currently consists of professional buildings, a nursing home, a childcare center and a shopping center. The Park is located directly across from Laurel Regional Hospital and surrounded by the Villages of Wellington. The Greater Laurel Professional Park is centrally located in the Baltimore-Washington corridor in the City of Laurel, just minutes from I-95, Route 1 and 295 with easy access to BWI Airport. 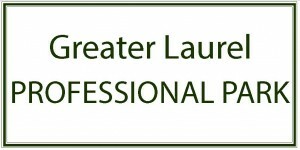 For more information about The Greater Laurel Professional Park, contact Kevin J. McNulty, President of Resource Enterprises, Inc.